Retail is dying. The latest figures paint a dismal figure for the UK high street, with shops closing at an average rate of 14 per day. The thing is, I’m not sure anyone’s told the Raspberry Pi Foundation. Today, It’s opening its first ever physical brick-and-mortar store in the leafy university city of Cambridge. But to Raspberry Pi founder Eben Upton, it all makes sense. Speaking to TNW, Upton explained that a high-street presence will allow it to reach an audience it perhaps otherwise would miss. Given the driving force behind the broader project is to make it easier and cheaper for people to learn STEM skills, this is crucial. “One of the good and bad things about being online is that it tends to sort people into affinity groups, and allows people within affinity groups to talk to each other, often with the exclusion of people who aren’t in the affinity group,” Upton explained. This, he says, can be a challenge for brands, as it often inadvertently results in them talking solely to their customers. If you’re a brand eager to grow — as the Raspberry Pi is — this isn’t ideal. “If your interactions with people are purely mediated online, you can end up missing vast waves of people who can benefit from your product, and who you can benefit from having as customers,” he added. This is essential when you actually consider what the Raspberry Pi Foundation is trying to accomplish with its new retail effort. In our conversation, Upton shied away from describing it as a store, but rather as a “showroom.” That’s for good reason, as the new Raspberry Pi store is not what you’d consider to be a traditional retail endeavor. The best way I can describe it is if someone grabbed an Apple Store, and then shoved a makerspace in the front it. It’s a given that the new Raspberry Pi store will sell the iconic computers, as well as an assortment of accessories. Customers will also find branded goods, like mugs and apparel, on the shelves. But a huge emphasis will also be placed on offering visitors the chance to learn about programming and electronics. As Upton explained, the new store is “a place for people to explore our product.” “This is something that’s really hard to replicate online,” he added. 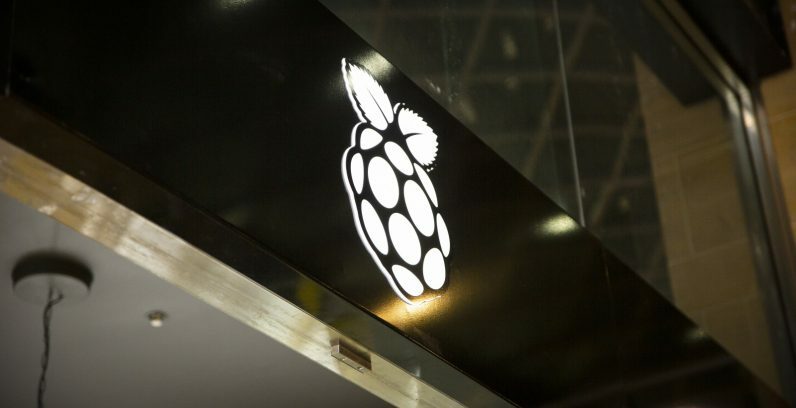 However, Upton added that even if it doesn’t break even, the experiment will still have value for the Raspberry Pi foundation as a laboratory for interacting with new customers, allowing it to tailor its offering for a broader demographic. I must admit, I was curious why the Raspberry Pi Foundation decided to launch its flagship retail store in Cambridge, a sleepy city with an estimated population of just under 125,000 (75,000 less than Warrington, and about 85,000 less than Aberdeen). But actually, it does make sense. “Cambridge is a good place to start this, as I think the population and the demographics are well suited to it. There’s a concentrated demographic of people who are probably receptive to this kind of venture,” he said. Cambridge is obviously best known for its world-leading university. Beyond that, it’s an affluent, middle-class city. It also sits at the heart of the UK’s tech industry, and is home to companies like Arm Holdings, as well as infosec unicorn Darktrace, and one of the most important Microsoft Research facilities outside of the United States. When pressed for other places the Raspberry Pi project could extend its retail presence, Upton suggested Bath, Oxford, and Edinburgh. These are all cities that boast a thriving tech scene, and contain universities with strong computer science and informatics programs. However, he was quick to add that if the project proves scalable, it could expand further across the UK high street. The new Raspberry Pi shop opens today. If you’re tempted to visit it, you can find it in Cambridge’s Grand Arcade shopping mall. And if things go well, perhaps it may come to a town close to you.